We love the luxury of car camping, and it is even better when you only have a half-hour drive up the coast to get there. 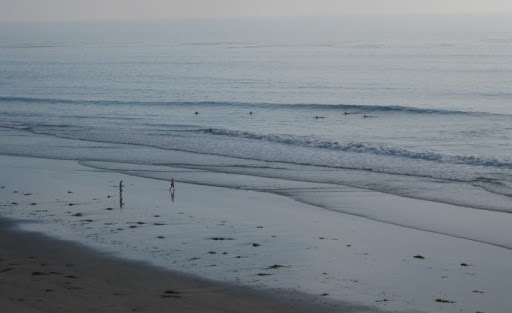 Located right on the coast on cliffs overlooking the ocean, South Carlsbad State Beach made a perfect spot for a Halloween weekend camping trip. They came out great - maybe the best ribs we've done so far. 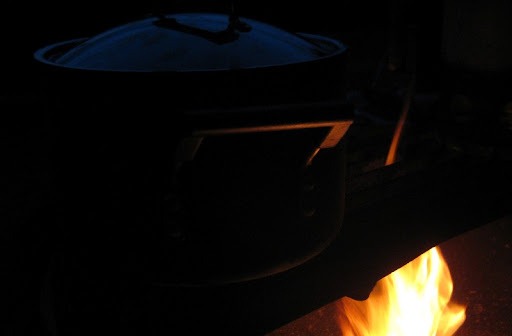 Dinner on Saturday was a pot of spicy chili cooked over the campfire. And, of course, there was some pumpkin carving. 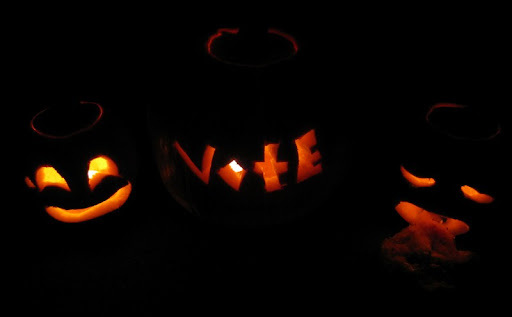 Make sure you get out tomorrow and do what the middle one says. Makes a little more than one cup of rub. Measure all ingrediants into a pint-sized jar. Cap with a lid and shake to combine. 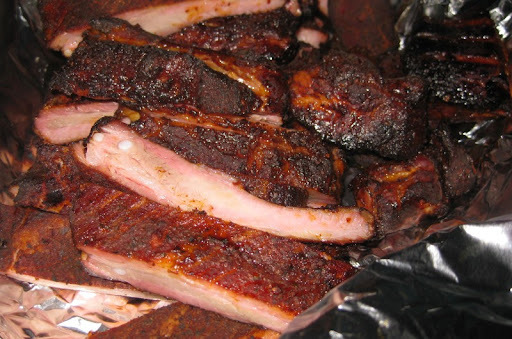 Use a quarter to a third cup of rub to generously coat each slab of pork spare ribs (whole 4 1/2 pounds ; trimmed and squared to ~3 pounds). Wrap in plastic and refrigerate 24-48 hours before cooking. 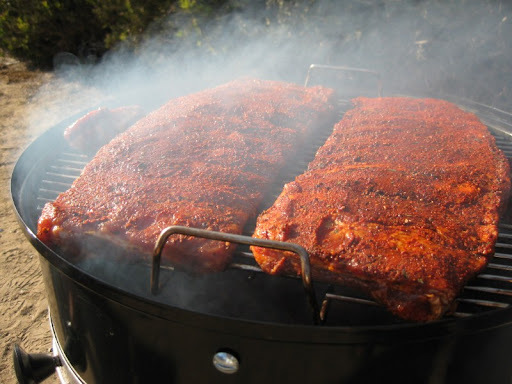 Great looking smoke rings on those ribs! nice pictures.....may i ask what you put in your rub? seems like a chill and relaxing way to spend the day! Hi mothermayi - we've added the rub recipe to the post. We use all sorts of rub variations. We wanted this one to be on the spicy side, and we really like how it came out. The key ingredient is the Hungarian sweet paprika - it has more heat than standard "supermarket" paprika. Just stumbled on your blog, looks pretty nice. I was wondering, what kind of smoker is that? Hi Gus - the smoker is a Weber Smokey Mountain Cooker. We've been very happy with it.